Hello, hello! 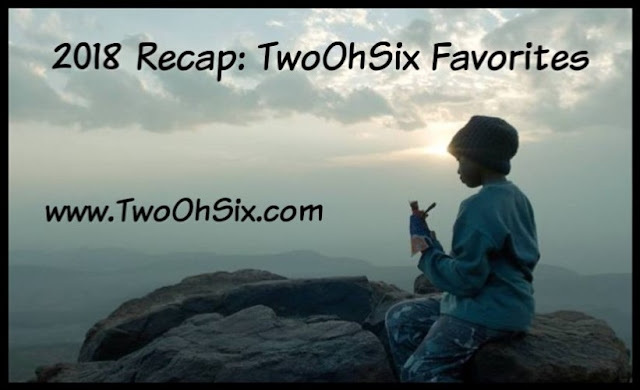 It is once again time to hand out awards for the TwoOhSix.com favorite movies and performances of 2018 and this just so happens to be the 10th edition of this recap post so it has been expanded and broken into categories for your reading pleasure. Thank you for joining me for another year of movie adventures, I hope you are able to find some films you may have missed or look at others you have seen in a different way. There are several movie categories that have been selected including Asian Cinema, Documentary, Film Festival, and Horror, as well as the overall favorites and favorite performances. 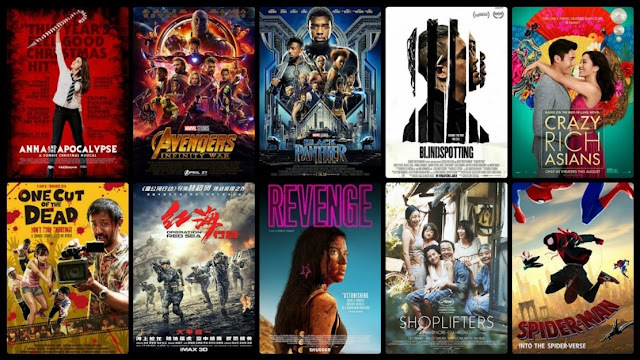 During 2018 I watched and reviewed a total of 171 movies which is a new record for the website so the narrowing down process was quite the task. 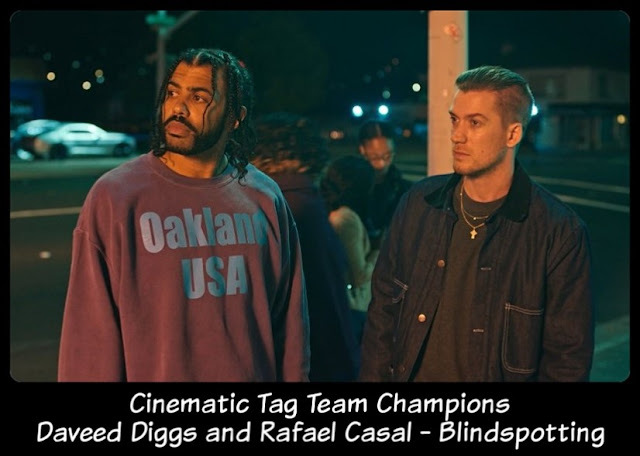 Let's begin with the special category winners each of which has a list of nominees in its own recap post which you will find a link to here as well. These categories are ones I feel should be highlighted because I tend to focus on them over the course of the year and so many of the films deserve to be talked about as much as possible so here goes. First category up is Documentaries. Here are the nominees. Shirkers is a wonderfully crafted documentary that nails the heart and soul of indie film struggles and shows how anyone, anywhere can have the potential to create, or in this case almost create, something truly magical. One Cut of the Dead is everything I love about watching movies. No joke, I had tears of joy from watching this film. This is easily the funniest movie I've seen in a long time and one of the best zombie movies I have ever seen. I put One Cut of the Dead right up there with The Cabin in the Woods as one of my all time favorite genre films because of how it puts an entirely new and refreshingly unexpected spin on something we've seen many times before. 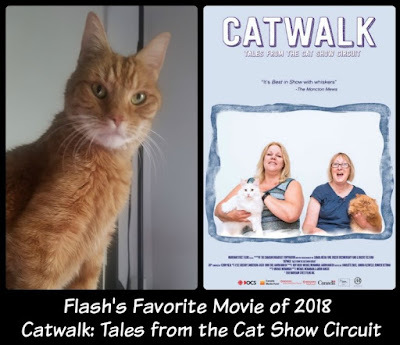 The Film Festivals category had the longest list of nominees because there were just so many great movies to choose from although I have manged to narrow it down to ten for this post. You will find the full nominee list with links to each film's review on the Film Festival recap post. 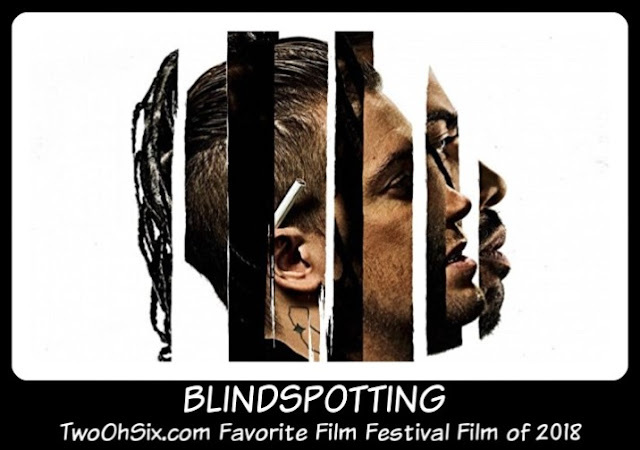 Blindspotting is a modern day Do the Right Thing. It's Boyz n tha Hood flipped upside down. The story really hit home for me in a lot of different ways and by the end I was an emotional mess. 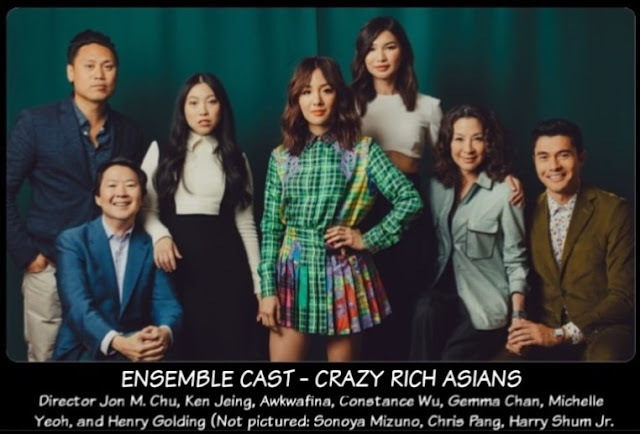 Here are a few other special category winners as seen in the 2018 acting performances recap post. At times Sakura Ando's character Nobuyo seems like a bubbly young woman without a care in the world but then in other moments she is forced to be a more mature mother figure, especially to Yuri who she ends up desperately caring for as if the little girl represents a life she herself will never have a chance to fully realize. The range and depth she gives the performance is something truly special to see and she ends up with one of the most endearing and authentic characters I have seen in some time. 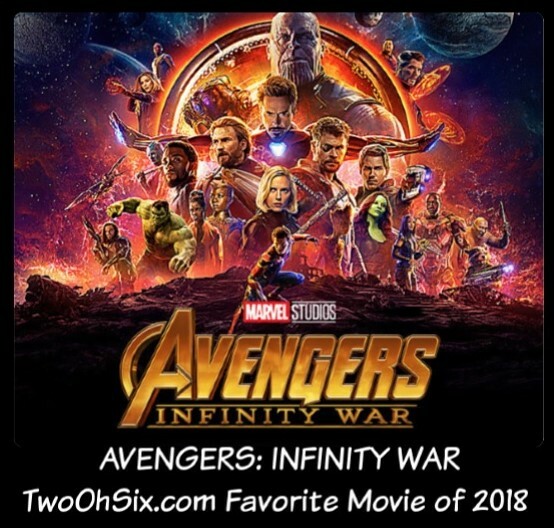 Okay you guys, here is the moment you've all been waiting for, the TwoOhSix.com Favorite Movie of 2018. 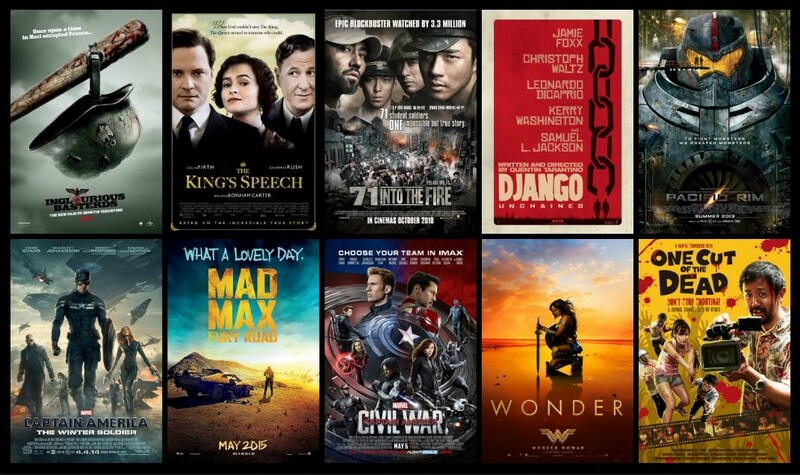 Here are the nominees as revealed on the 2018 movies recap post. Listed here descending in order from ten to the number one most favorite movie of the year. Avengers: Infinity War is one of the single greatest achievements in film making history for so many different reasons. It is big, it is bold, and it holds nothing back. You are not prepared for what happens and you will leave the theater in some sort of emotional state that you weren't expecting to experience. After 10 years of build up, Marvel absolutely knocks this one out of the park and sets things up perfectly for a finale of unprecedented proportions. 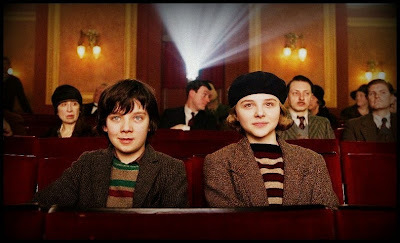 Thank you so much for following along as I chronicle my movie watching adventures and rank my favorite films and performances each and every year. 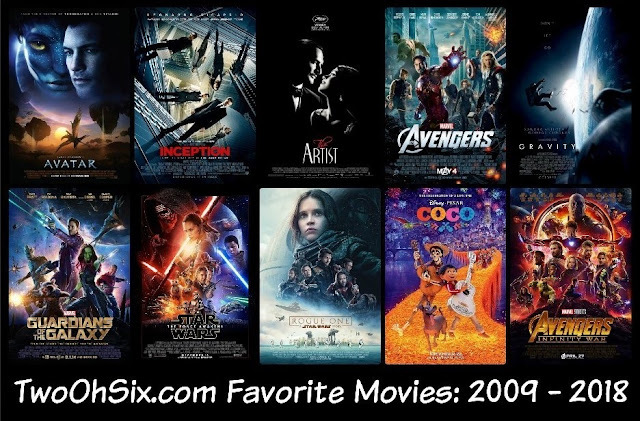 While I started this website in 2011, I created favorite movie recaps for 2009 and 2010 so I now have ten years worth of favorite films. The list of movies is very impressive and really gives you an idea of what types of movies I really enjoy. Ten years of reviewing and ranking my favorite films! As I was putting that graphic together, I thought it would also be interesting to see which was my number two favorite film for each year.